Nicolas Pepe has been brought right back into the summer transfer consciousness. 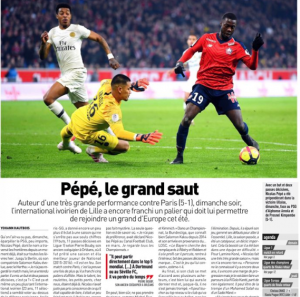 A brilliant performance as his Lille side beat PSG 5-1 at the weekend has reminded everyone just how good he is, and with his club making it clear he’ll be off in the summer – because he’s simply too good for them – the rumours have a renewed energy. 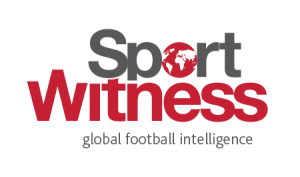 From the Premier League, the clubs most often linked with Pepe are Manchester United, Arsenal and Chelsea. Today’s edition of L’Equipe brings Liverpool into the equation. The French newspaper says that Jurgen Klopp’s side are part of the ‘British clique’ who would be keen on Pepe. They suggest that if Liverpool were prepared to pay €60m for Lyon’s Nabil Fekir last summer then Pepe must be worth around €70m. Pepe surely wouldn’t be a player Klopp feels is urgent for his Anfield squad, given the strength Liverpool already have in their wide attacking positions. However, it makes sense for the club to keep an eye on situations like these, just in case something happens to one of the famed front three.